Some contraltos start their musical career as Sopranos; some as pianists; but only one started by learning the trumpet! An excellent actress and performer, Prina excels in both staged and concert performances. With her impossibly fast coloratura and dark timbre, Prina makes a convincing warrior or emperor. Not only is she active on both the concert and operatic circuit, but she has appeared on a number of recording projects with various labels including Naïve and Emi/Virgin. Among the highlights in her career in the last few years we cite: title role of Orlando at Sidney Opera House; Clarice in Rossini’s La Pietra di Paragone at Théâtre du Châtelet in Paris; Rinaldo in Handel’s Rinaldo at Teatro alla Scala in Milan staged by Pierluigi Pizzi and conducted by Ottavio Dantone; Bradamante in Alcina and Cornelia in Giulio Cesare at Munich Opera House under the baton of Ivor Bolton; Ascanio in Mozart’s Ascanio in Alba at Salzburg Festival with Adam Fischer. Sonia Prina has a particular fondness for Handel and has sung the title roles in these operas: Tamerlano in Munich conducted by Ivor Bolton; Giulio Cesare in Genoa under the baton of Diego Fasolis and she repeated the role in Lille with Emmanuelle Haïm staged by David McVicar; Orlando in Ravenna staged by Robert Carsen under the baton of Ottavio Dantone; Amadigi at Teatro San Carlo in Naples under the baton of Rinaldo Alessandrini and title role in Silla in Rome with Fabio Biondi. Besides, among her important recent engagements, have been Bradamante in Handel’s Alcina staged by Robert Carsen at the Opéra de Paris; Polinesso in Ariodante at San Francisco Opera House and Teatro Liceu in Barcelone; Bertarido in Handel’s Rodelinda at the Barbican and in Vienna Konzerthaus. Other recents productions include: Orlando in Vivaldi’s Orlando Furioso in Frankfurt Opera House; the title role in Handel’s Rinaldo in Glyndebourne; Amastre in Handel’s Serse in Houston; the title role of Handel’s Orlando in Théâtre des Champs Elysée in Paris and in Lille; and Ratmir in Glynka’s Ruslan and Lyudmila for the historical reopening night of the Bolshoi in Moscow; Smeton in Anna Bolena at Teatro Liceu in Barcelone. Other noteworthy performances have been in Monteverdi operas in the role of Ottone in L’Incoronazione di Poppea in Bologna and Penelope in Il Ritorno d’Ulisse in Patria in Cremona and recently she performed Messaggera and Speranza with William Christie in Madrid. Under the baton of Jordi Savall she sang in Vivaldi’s Farnace in Madrid staged by Emilio Sagi and in La Senna Festeggiante in Bordeaux. In the traditional opera repertoire we mention: Isabella in Italiana in Algeri in Torino; Rosina in Barbiere di Siviglia at Teatro alla Scala with R. Chailly; Smeton in Anna Bolena in Bergamo; L’Enfant et les Sortilèges at Teatro San Carlo in Naples. She performs in recitals all over Europe, in South America and Japan, with important baroque orchestras such as Accademia Bizantina, Il Giardino Armonico and the Ensemble Matheus. Among her more important recordings have been: La Senna festeggiante and L’Olimpiade by Vivaldi with R. Alessandrini (Naïve); Monteverdi’s Orfeo and Handel’s Il Trionfo del Tempo e del Disinganno with E. Haim (Emi/Virgin); Handel’s Lotario for BMG and Rodelinda for Deutsche Grammophon with Alan Curtis; in DVD projects we cite Ascanio in Alba in Salzburg Festival and La Pietra di Paragone in Théâtre du Châtelet in Paris. 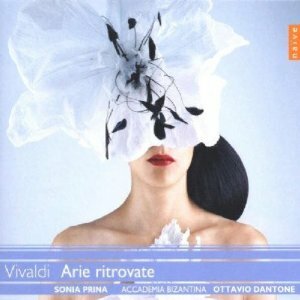 Her new solo cd Vivaldi’s Arie Ritrovate with Accademia Bizantina for the french label Naïve has been released worldwide. Among her future engagements include: Rinaldo (Rinaldo) in Zurich; Galatea in Aci e galatea e Polifemo by Handel in Copenhagen; Ezio in Ezio by Gluck in Frankfurt , Polinesso in Ariodante in Aix; and several concerts including a series of arias written for the castrato Senesino at the Wigmore Hall.